Forget plastic: this is the only bag for life you need. 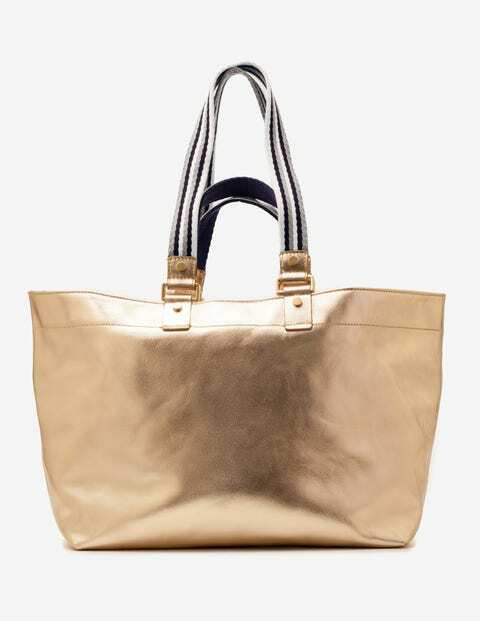 Made from soft leather in a generous size, it's a shopper that's built to last. The security conscious will be pleased to see there’s a zip pouch and card pocket inside. Slip the contrast-colour grosgrain handles over your shoulders or grab the short leather ones.